Oslo, Norwaystated his 100 metres credentials in Olympic year here as he won his latest Samsung Diamond League event in a meeting record of 9.79 that has been bettered this year only by his own recent mark of 9.76 in Rome. 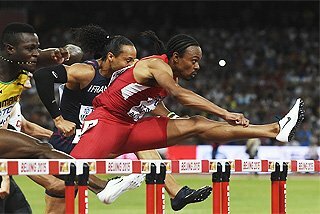 Bolt’s final flourish at the ExxonMobil Bislett Games rounded off a night in which there were four 2012 world-leading performances – or five, if you count Sally Pearson’s achievement of matching her 100m Hurdles time of 12.49. Top marks went to Kenya’s Milcah Chemos, with a national record of 9:07.14 in the 3000m Steeplechase that puts her fourth on the all-time world list, Javier Culson, who won the 400m Hurdles in 47.92, Asbel Kiprop, who won the Dream Mile in 3:49.22, and Vitezslav Vesely, who earned a breakthrough Javelin victory in Olympic champion Andreas Thorkildsen’s home patch with a throw of 88.11m. Bolt, who had made his first appearance here over 200m a year earlier in pouring rain, had no precipitation to contend with on this occasion --but he had his work cut out to beat his friend and fellow Jamaican Asafa Powell, as his gritted teeth at the 60 metres mark indicated. At that point Powell, whose 9.72 clocking here in 2010 would have been a meeting record save for a following wind that was marginally over the limit of record purposes at 2.1metres per second, was pushing for the lead, having got away fractionally fastest of the field – his reaction time was 0.156, Bolt’s was 0.157. In the end, though, he had to be content with second place in a season’s best of 9.85. "It was an awesome race," said Powell. 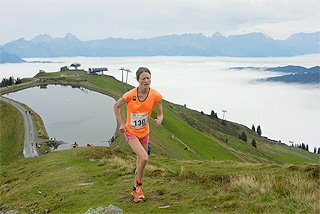 "I was well there until 85 metres, then my legs were tired. Usain is a lot stronger at the end so that was it. 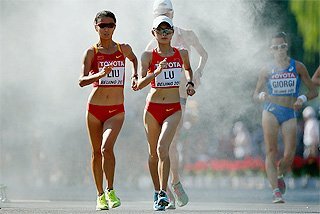 But it is good for me to go to the Olympic trials with such a fast time, which will give me confidence." 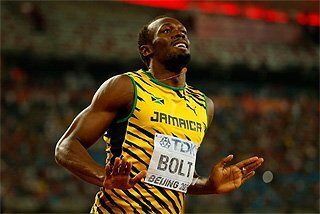 Bolt commented: "The starting reaction was good, but I did not have the flow in the first metres like in Rome. Overall, technically, the race was not as good as in Italy, but I showed I can compete well under pressure." He added that he was "not comfortable" with the new blocks, adding: "I’m guessing how to adjust them. In Rome the guess was good, here not that good. But it is all about consistency. I’m pleased to win here for the second time. I will now go back to Jamaica, work on a few things and run at the trials. Specially I need to work on my start. 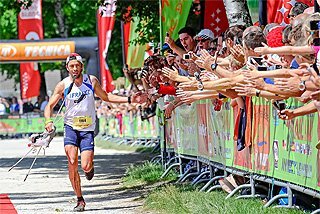 After the trials I have only one race planned, over 200m in Monaco." Pearson, pale and intent, led from gun to the line in the 100m Hurdles final as she equalled the mark she set in her native Australia in March. 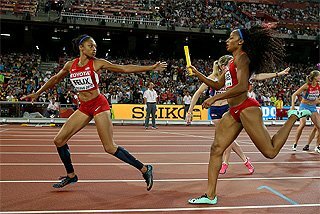 But Kristi Castlin of the United States made what could be a significant breakthrough as she closed on the World champion to take second place in a personal best of 12.56. Britain’s naturalised American, Tiffany Porter, was third in 12.70, but her team-mate Jessica Ennis, who had qualified from the heats in 12.83, just 0.04 off her personal best, had the frustration of being disqualified for false starting. It was not a good night for Britain in this respect, as Mark Lewis-Francis did the same thing in the 100m. The World champion’s win moves her up the Diamond League standings, and her pursuit of the Trophy which eluded her when she fell in the final race last year at Brussels was assisted by the fact that the opening 100m Hurdles heat had seen the disqualification of the Diamond Race leader, Phylicia George, for a false start. Home favourite Christina Vukicevic ran a season’s best of 13.18, but missed the final by one place. 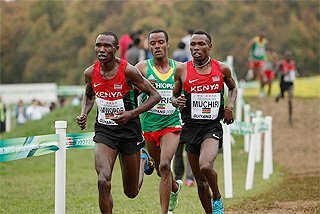 Chemos produced one of the performances of the evening in the 3000m Steeplechase as she eclipsed the previous African record of 9:07.41 set by her fellow Kenyan Eunice Jepkorir in earning silver at the Beijing 2008 Olympics. It was also, unsurprisingly, a meeting record. The diminutive Kenyan, who has now won all three of this season’s Diamond League races, was pushed all the way by a strong Ethiopian challenge from Sofia Assefa and Hiwot Ayalew, whom she only managed to detach over the final 50 metres as they had hit the bell in an even line. Assefa, second to the Kenyan in Eugene, earned another runner-up position in a national record of 9:09.00, with Ayalew third in a personal best of 9:09.61 which, before tonight, would have been the fastest time of 2012 by four seconds. Meanwhile Britain’s Eilish McColgan, daughter of 1991 World 10,000m champion Liz, earned a run at the London 2012 Games as she bettered the Olympic A qualifying standard of 9:43.00, finishing ninth in a personal best of 9:38.45. 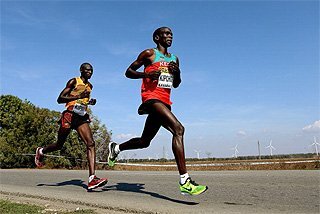 Kiprop, the World and Olympic 1500m champion, still appears the man to beat in this year’s Diamond League after bettering the 2012 world-leading mark of 3:49.40 he set in winning at Eugene. Gideon Gathimba of Kenya was fourth in a personal best of 3:50.24, and a personal best by fellow Kenyan James Magut of 3:50.68 earned sixth place. Hamza Driouch, Qatar’s talented junior, led boldly in the early stages but had to settle for eight place in 3:50.90. Britain’s World 400m Hurdles champion David Greene was well beaten on his 2012 Diamond League debut as the man he overhauled to win the gold in Daegu last year, Javier Culson, finished five metres clear in 47.92, supplanting the 48.00 mark he set earlier in the season as the fastest time recorded this year. The Puerto Rican had a clear lead as the field arrived in the straight and extended it as Greene struggled to find his rhythm in the run-in, slipping back to fourth place in 48.98. Jehue Gordon was the closest to Culson, clocking a season’s best of 48.78, with Justin Gaymon of the United States coming through for third place in 48.97, also a season’s best. "Not a good race for me," said Greene. "I pushed hard for the first 250 metres and had nothing left over the last 50. The last week has not been the best for me as I have had a stomach virus, but I just have to work on." The women’s 100m Hurdles final was momentarily delayed as the crowd got behind their local hero Thorkildsen as he made his final throw in the Javelin. But the rising noise was stilled as his spear landed only marginally over the 80m line and he had to settle for third place thanks to a second round effort of 82.20m – a far cry from the personal best of 91.59m he threw here six years ago. Vesely, a 29-year-old who is coached by his Czech compatriot and multiple Olympic champion Jan Zelezny, had already established himself as the most consistent thrower of the early season with a victory in Shanghai and second place in Eugene. Here, however, after taking a first round lead with 83.07m, he produced a dramatic 88.11m effort two rounds later which easily surpassed the personal best of 86.45m he set in Olomuoc two years ago and also eclipsed the early world leading distance of 86.31 set by Stuart Farquhar of New Zealand. World champion Amantle Montsho won the 400m with ease, finishing five metres clear in 49.68, the third fastest run this year behind the time she had run in the Eugene Diamond League, 49.62, in finishing second to the winning time of 49.39 recorded by Sandra Richards-Ross of the United States. The Botswana athlete had only one effective challenger as she reached the straight in lane four, and that came from lane eight, where Jamaica’s Patricia Hall was en route to a personal best of 50.71. Debbie Dunn of the United States finished third in a season’s best of 51.22. Kenenisa Bekele’s prospects of retaining, or even defending his Olympic 5000m title are looking a little bleak following his relative failure here in what was one of the key trial races for the massively strong Ethiopian team. Bekele ran a marginal season’s best of 13:00.54, but it was only enough to earn him fifth place, one behind younger brother Tariku, in a race where Ethiopians filled the first five places. Renaud Lavillenie remains in line for a third consecutive Diamond Race victory in the Pole Vault after winning a cagey tactical battle with Malte Mohr with a first-time clearance of 5.82m, the height which also won him the last Diamond League in Eugene. Lavillenie had come in at 5.52m, but only cleared it at his second attempt. 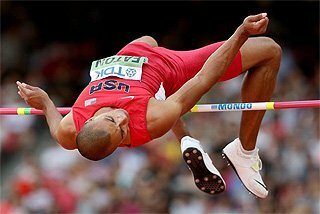 Mohr held on until 5.62m before entering the competition, and a first-time clearance put him in charge. But after skipping 5.72m, which the Frenchman only managed at the third attempt, Mohr’s cute tactics fell apart as he failed three times at 5.82. Mohr’s compatriot Bjorn Otto, with a 5.82m to his credit this season, could only manage 5.42m, finishing sixth, with third place going to Lukasz Michalski of Poland with 5.52m. 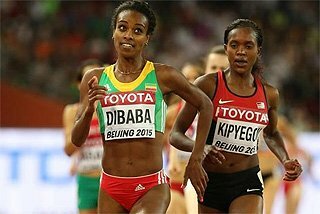 Abebe Aregawi extended her lead in the 1500m Diamond Race as she won here in 4:02.42 ahead of the fellow Ethiopian who is now second in the Diamond League standings, Genzebe Dibaba, who clocked 4:03.28. Anna Mischenko of Ukraine was a fast-finishing third in a season’s best of 4:03.33. Behind her Norway’s Ingvill Makestad Bovim, who had sent a buzz through the crowd as she led into the bell and only lost her lead as the field entered the final bend, finished seventh in 4:06.31. Britain’s Stephanie Twell was ninth in a season’s best of 4:07.49 and Lucia Klocova of Slovakia was 11th in a national record of 4:07.99. Murielle Ahoure of the Ivory Coast won the 200m in a national record of 22.42, ahead of Britain’s 2004 Olympic finalist Abi Oyepitan who, after almost five years of injury problems, is signalling a significant return to fitness ahead of London 2012. 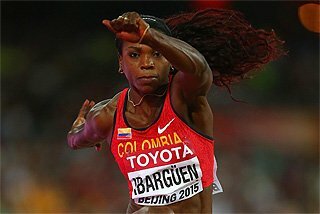 Oyepitan clocked a season’s best of 22.71, although she had less to be pleased about a little later when she finished last in the 100m that was not part of the Diamond League programme, clocking 11.70. The women’s High Jump was won by Chaunte Lowe of the United States with 1.97m, four centimetres ahead of the best Belgium’s Olympic champion Tia Hellebaut could manage. Olga Kucherenko of Russia won the women’s Long Jump with her opening round effort of 6.96m, with compatriot Yelena Sokolova coming closest to matching her with 6.89. Janay Deloach of the United States maintained her lead in the Diamond Race as she took third place with a final effort of 6.60m. World Triple Jump champion Christian Taylor was consistency itself in a competition interrupted halfway through by the grand procession of a marching band complete with teenaged cheerleaders, followed by the grand entrances of two of the stellar athletes of the age, Kenenisa Bekele and Usain Bolt. All six of the American’s efforts were between 16.70m and 17.06m, the latter coming in the fourth round. But sadly for him none were enough to secure victory, which was claimed by Lyukman Adams of Russia with his third round jump of 17.09m. "The runway was not long enough for me, that was the only problem," Taylor said. Sandra Perkovic extended her lead in the Diamond League Discus event with her third successive victory here, her 64.89m proving too much for the two big rivals making their 2012 Diamond League debuts, Nadine Muller of Germany and Yarelys Barrios of Cuba. Barrios, the Olympic silver medallist, led the competition to the halfway point with her opening effort of 63.57m, but the Croatian, easy to spot in her dayglo lime top – knew she had produced the goods as she released her fourth round effort, clapping it as it flew and then punching the air when the numbers came up. 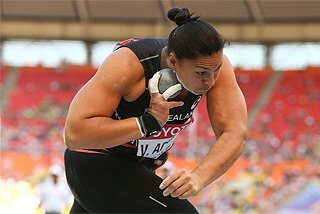 Barrios, next to throw, sounded as if she had responded, letting out a mighty cry as she released the discus, but the throw was marginally her worst up to that point, 63.31m. Muller, who leads the world list with her effort of 68.89m two months ago, produced a slightly better response of her own in the fifth round to take second place with 63.60m. As the sun clouded over, all other competitors were already starting to get themselves into their tracksuits as Barrios took the last throw of the competition. But there was to be no dramatic finale as the misfired discus fell well short of the 60m line and the Cuban Olympic silver medallist offered her cue to the official with the red flag by walking out of the front of the circle. Perkovic’s effort was well short of her best of 68.24m this year, which she set in winning her opening Diamond League competition in Shanghai, but with subsequent victories in Eugene and now Oslo she is looking formidably hard to stop. "I’m tired from travelling, first Shanghai, then Eugene, now here, but when I can throw nearly 65 metres and be tired that is great for me," said Perkovic, who now plans to prepare to defend her European title in Helsinki. Poland’s Olympic champion Tomasz Majewski moved into the Diamond Race lead in the Shot Put after winning a competition of fluctuating fortunes to register his first success this season after four successive second placings. "I won, but I was not satisfied with my technique," he said, before dedicating the performance as a birthday present to his compatriot Piotr Malachowski, the European discus champion. Germany’s 20-year-old World champion David Storl took a first round lead with 20.69m, but that was overtaken in the second round as the Canadian deprived of the world title by Storl’s last round effort in Daegu last summer, Dylan Armstrong, reached 20.82m. Armstrong was throwing consistently well, with five consecutive efforts of 20.42 or better, but in the third round the leadership passed to Majewski as he reached 20.96m before improving to 21.16m and 21.36m with his next two efforts. Storl, back in third, remained there after his last throw of 20.64m, so it was down to Armstrong to try and overhaul the Pole, but a final foul left the leader clear on a mark that is the eighth best registered so far this season.